It may seem strange to post a sore throat remedy during the first days of Spring. But just as I was beginning to enjoy the warmth and the extra hours of sunlight, I was hit by another bout of allergies. They’ve been acting up recently, and without rain to clear the air, this season has been especially bad. This morning I woke up with a dry, scratchy throat that even a good dose of Claritin couldn’t stop. My aunt passed down this recipe for an Indian sore throat remedy to me years ago. I’ve been using it ever since. 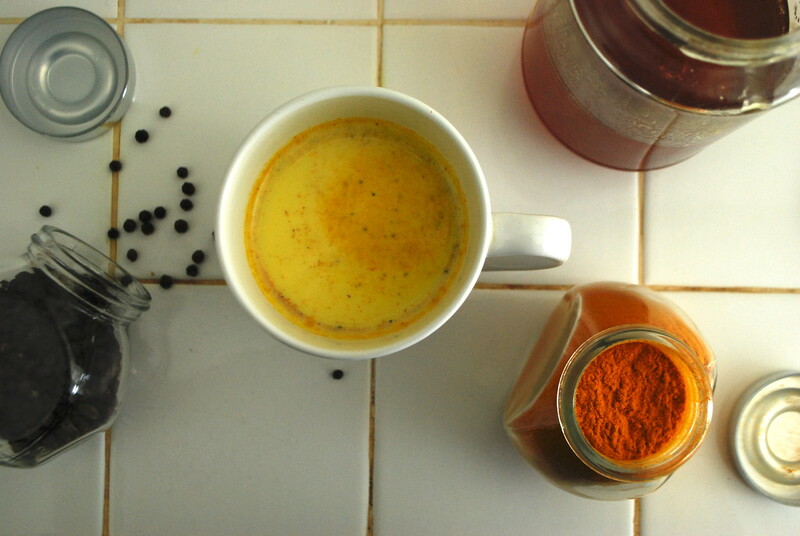 A mug of this turmeric-spiced milk first thing in the morning or shortly before bed brings almost instant relief. I like to make this drink piping hot, and sip it slowly. It soothes sore throat symptoms for 30 minutes to an hour after you drink it, depending on how bad symptoms are. Sometimes even longer, as in the case of these allergies. (I was cough-free for a full two hours after I drank this tonic.) When you’ve been suffering from a sore throat for few days, a simple hour or two of complete relief can be remarkably relaxing. After browsing the modern-day research, my aunt’s recipe makes perfect sense. 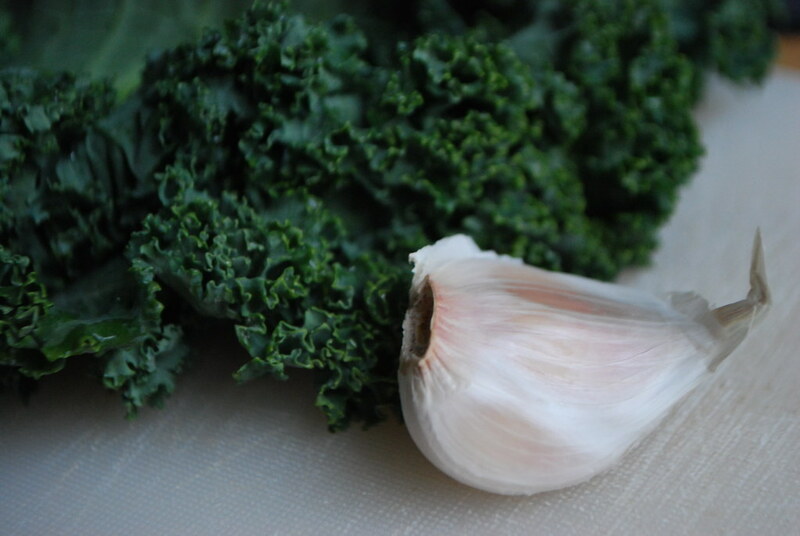 Turmuric has powerful anti-inflammatory properties. It’s been linked to lowered Alzheimer rates in certain countries, and researchers think it may be effective against cancers and arthritis. 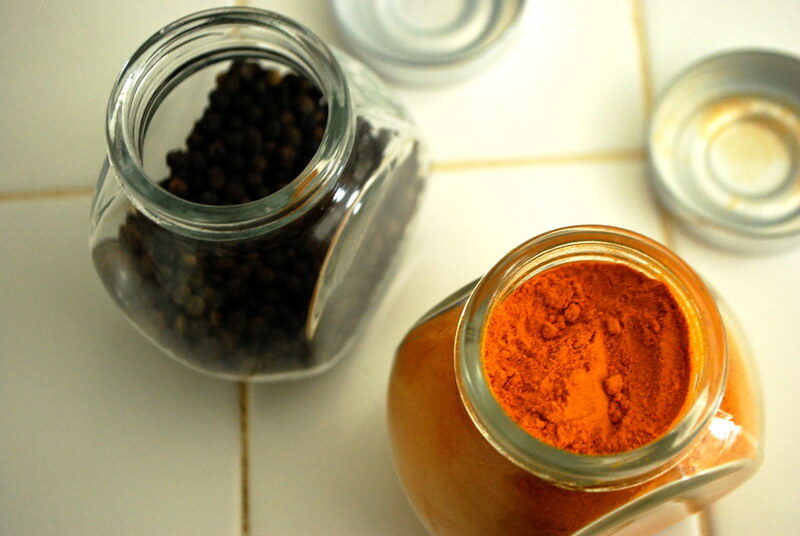 Compounds in black pepper (pipeline) help with the absorption of turmeric and curcumin, it’s main medically active component. Regardless of the health claims, one thing’s for sure— it’s soothing and does the body good. Combined with honey to sooth the throat and black pepper to clear congestion, it works small miracles. This recipe dates back to the Great Depression, when resources were scarce and thrift was a way of life. It has gone by several names— “Crazy Cake,” “Wacky Cake,” and a few others. It’s a cake is made without eggs, milk, or butter. The ingredients list is full of pantry items, and cocoa is used instead of baking chocolate. You’d expect this cake to be dryer or denser than a normal chocolate cake. But it isn’t. It’s moist with a perfectly soft crumb. This is my favorite chocolate cake. I love this cake because it is un-fussy. It can go from mixing bowl to oven to table in under an hour, served warm or cool. And I’ve never gotten a single complaint about flavor or texture. 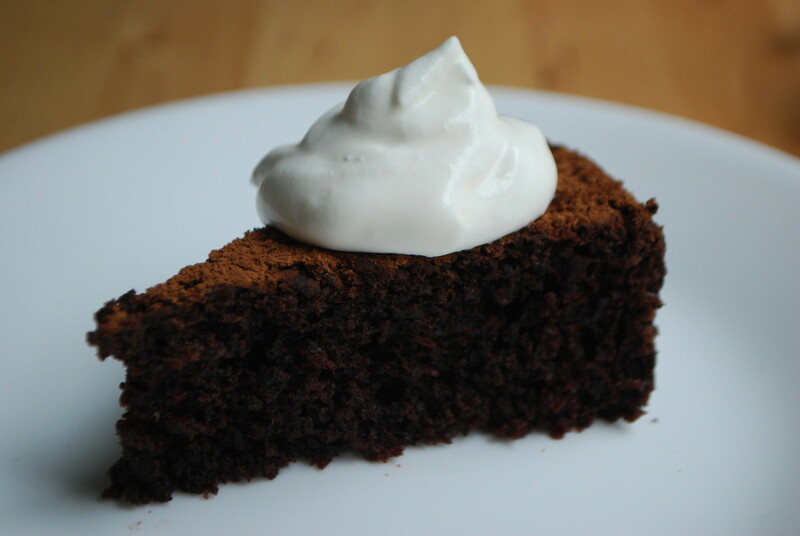 In fact, it’s one of my favorite no-fail chocolate cakes. And it improves after a day or two in the fridge. Since it keeps, it can be made ahead, or can be made in a larger batch to keep in the fridge. Wrap it in cling wrap, making sure the plastic is touching any cut edges. 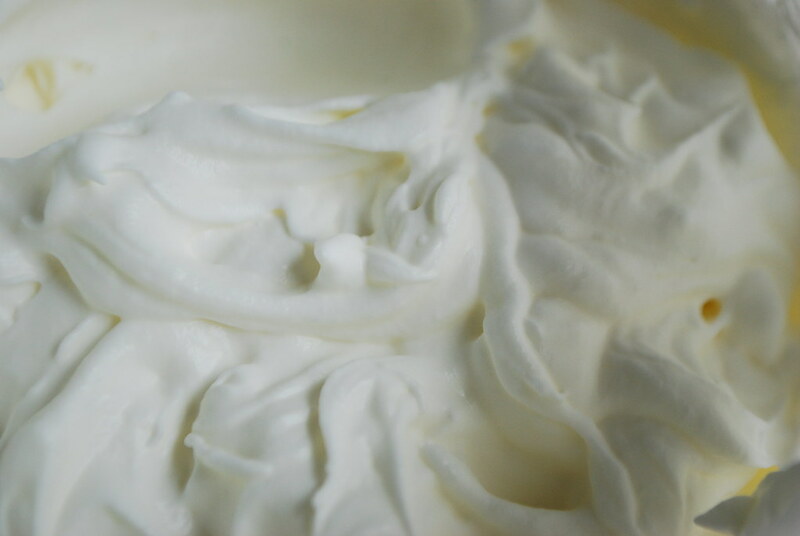 Simple toppings like whipped cream and fresh fruit go far, and frosting is definitely optional (but never discouraged). The last week and a half has been incredibly busy. I’m in the middle of midterms-and-papers-and-readings season. I spend my mornings in class and my afternoons studying. The to-do list is never exhausted, and it’s a rare day when everything I set out to do is accomplished before midnight. On days like these, what breaks the monotony is coming home for lunch. I love cooking something satisfying in the middle of my day. I get to leave behind whatever I’ve been studying for a little while, and return to my work refreshed. The requirements are for the dish I choose to make are strict. It must be something that I can make in 30 minutes or less, but it must also be hearty enough to pull me through the afternoon. This kale pasta does just that, and I made it twice last week alone. 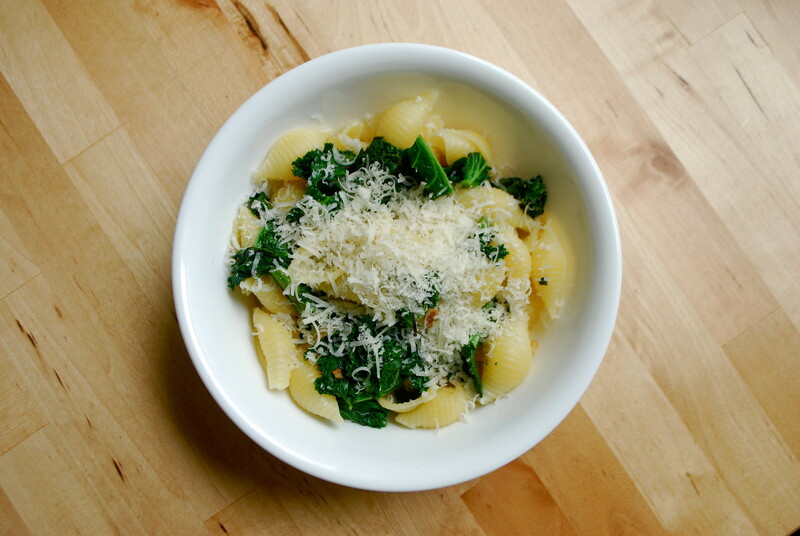 Crisp and bitter kale is paired with rich, buttery pasta. Salty, savory, and satisfying enough for a midday meal. I imagine it would make a great quick dinner, too.